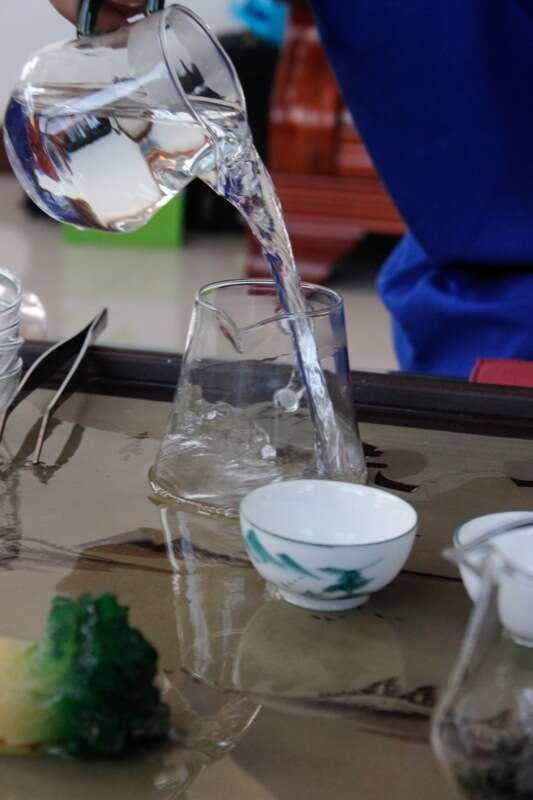 The He family (pronounced Hə “huh”) produces every one of our teas from Laoshan Village. 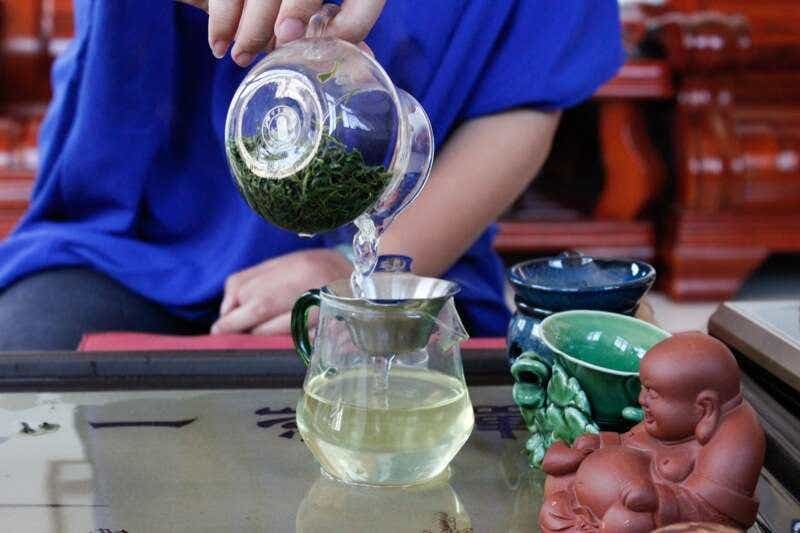 The best known and most traditional tea produced in Laoshan Village is Laoshan Green Tea, noted for it’s distinctive soy-bean flavor and aroma. The He Family’s green tea is no exception. 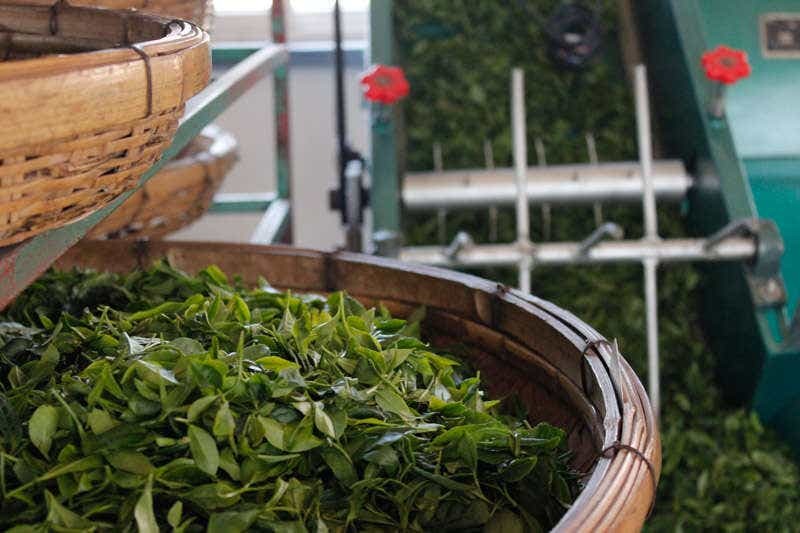 Through their careful processing, Laoshan Green Tea exmplifies the full range sweetness and complexity Mt. Lao’s beautiful terroir can impart to every harvest of Chinese green tea. 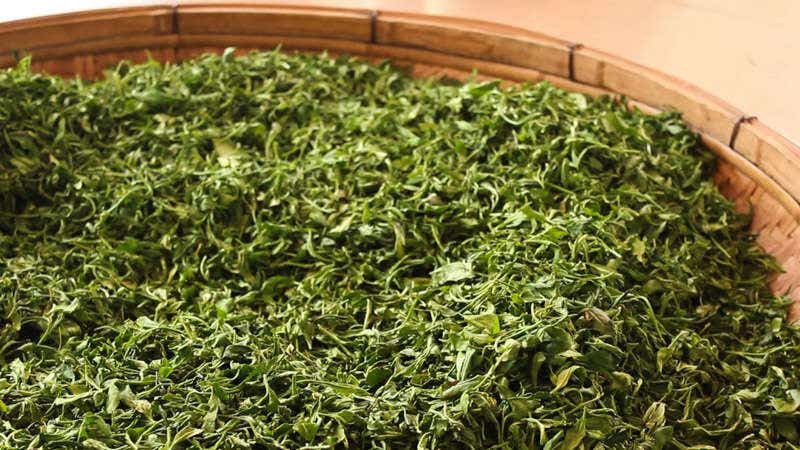 How is Chinese Green Tea Made in Laoshan? Over several days this Spring, Mr. and Mrs. 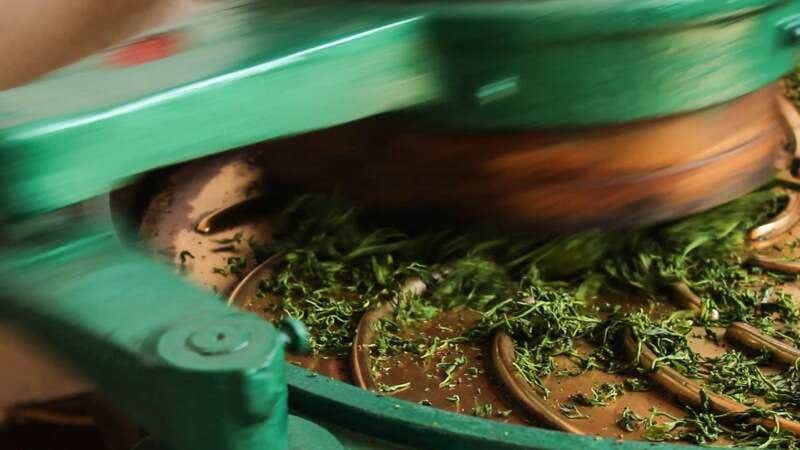 He walked us through the intensive processes involved in making Laoshan Green Tea, and we documented each step to share with you. 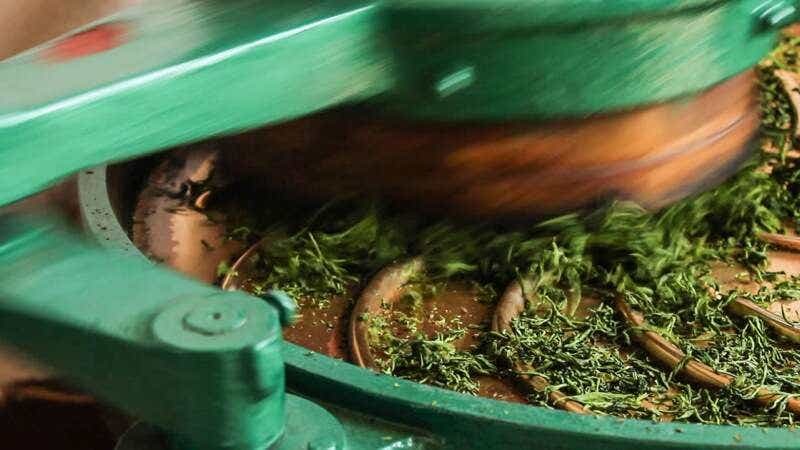 Making just 10 pounds of green tea takes 4 to 6 people anywhere from 6-8 hours to process after picking, depending on whether the curling happens completely by hand or with machine assistance. Whatever tea you’re making, the first step always begins with hand-picked, pesticide-free fresh tea leaves. 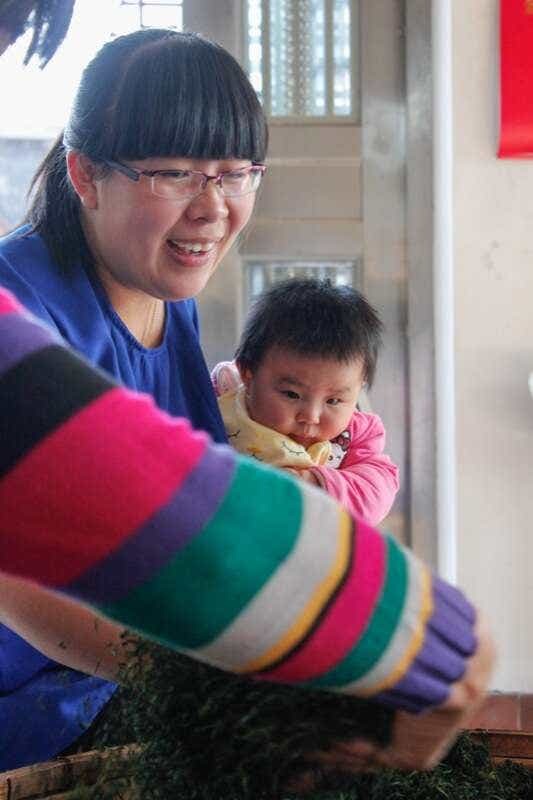 The He Family starts picking their tea at about 5 o’clock in the morning. 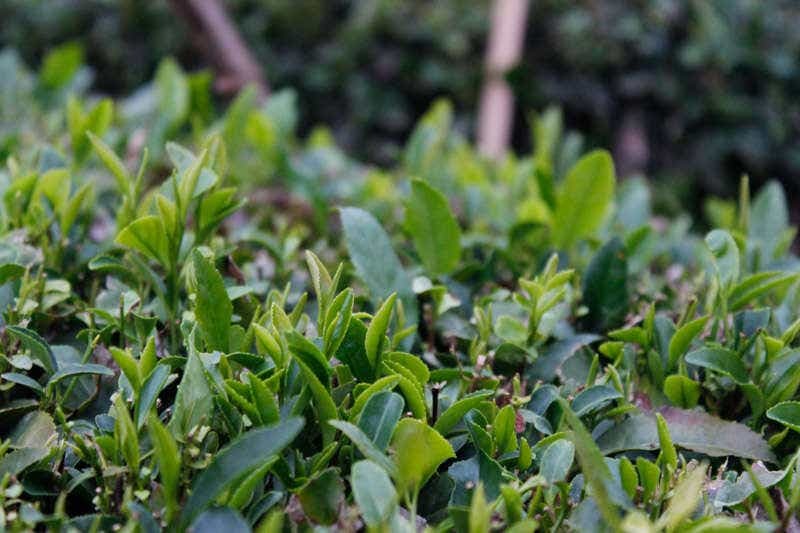 The tender tea leaves and fresh buds are picked by hand from low tea hedges. An early start ensures no one is picking in the more intense heat and humidity of midday beneath the greenhouse tarps; instead, production moves inside to the workshop once the sun rises over Laoshan’s mountain peaks. 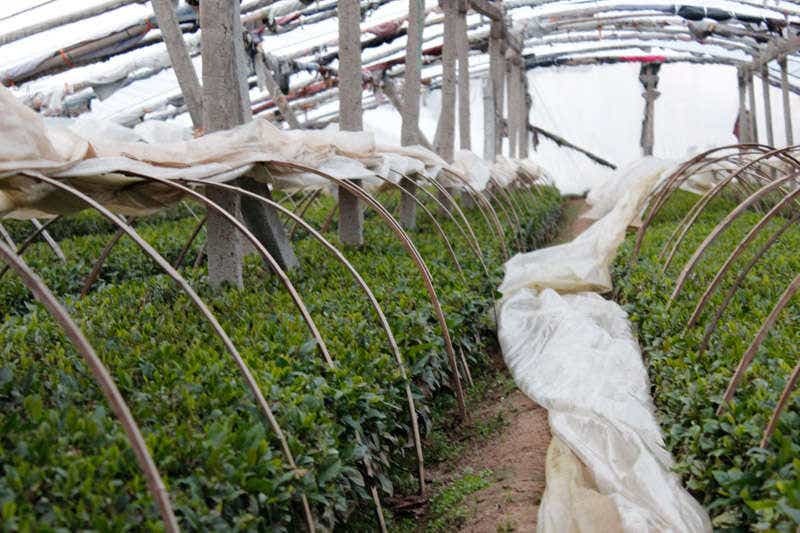 When the tea is not being picked, each hedge of tea bushes is covered and shaded with tarps, and the entire field section is enclosed in a green house to protect the growing buds and leaves from the elements. The hedges are hand weeded each evening, and any weeds are collected in buckets to be composted. 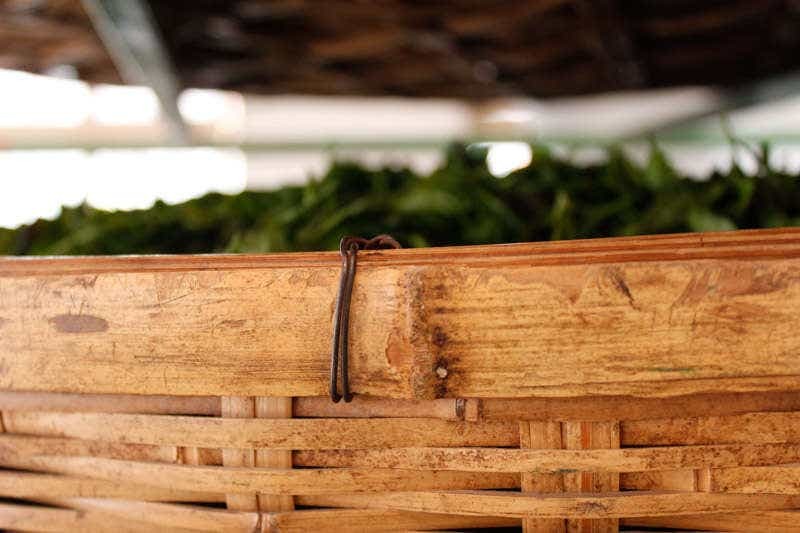 In a day, two people can usually pick in total two large baskets full of fresh tea leaves. After processing, this will become just 10 lbs of finished tea. 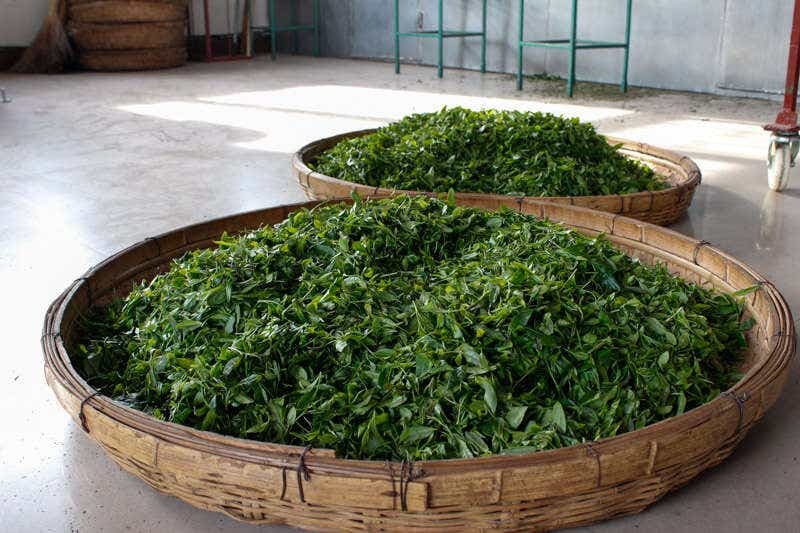 The fresh leaves first sit and air dry for 3 to 5 hours in racks of bamboo and wicker baskets. 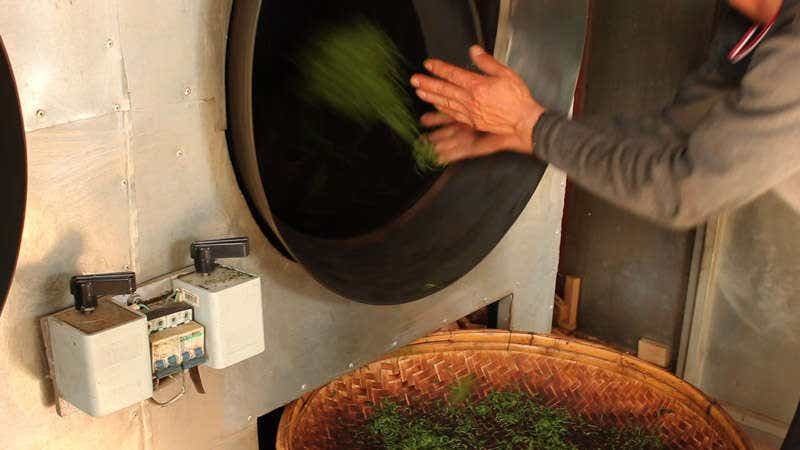 The air-dried tea leaves travel through a long rotating drum, carefully tended to maintain a temperature that withers the leaves without scorching or burning. This process takes about 30 minutes per basket of tea. 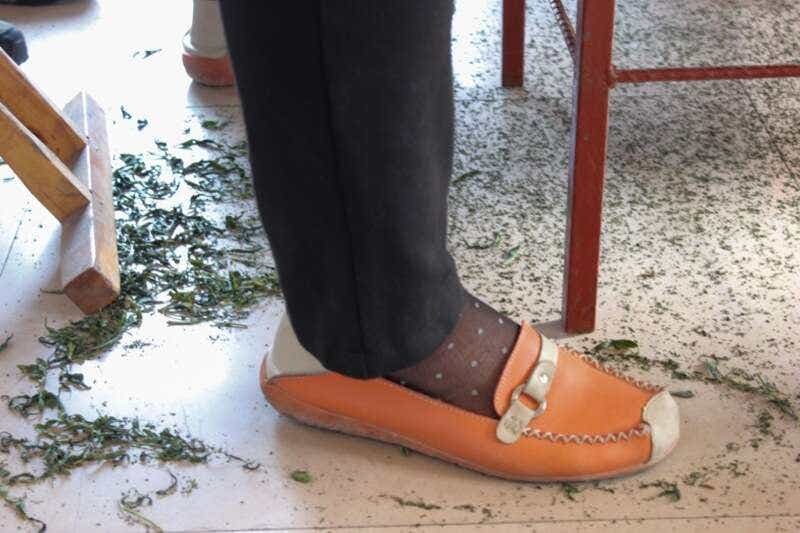 Once withered, the leaves are carefully inspected for any imperfect leaves that may have become torn, scorched or overly dried during withering. Stray stems, tea flower petals and tea berries are also removed during this step. 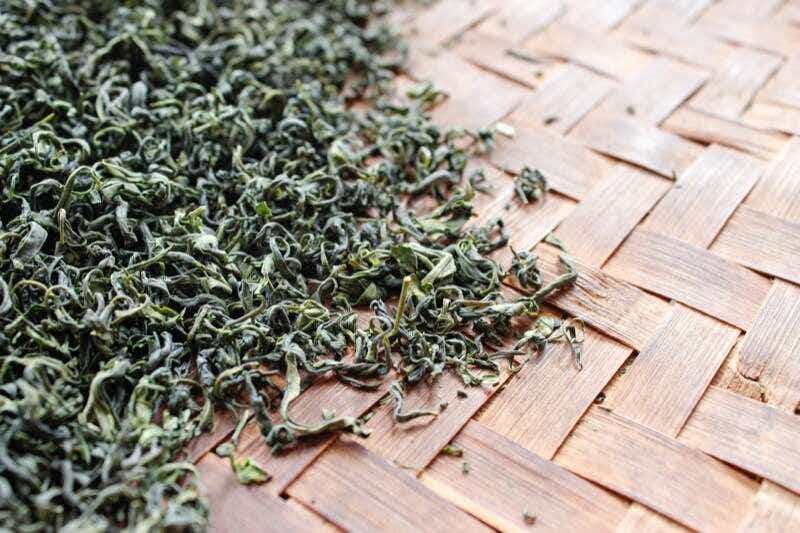 The withered and inspected leaves are then curled into the distinctive Laoshan Green shape. 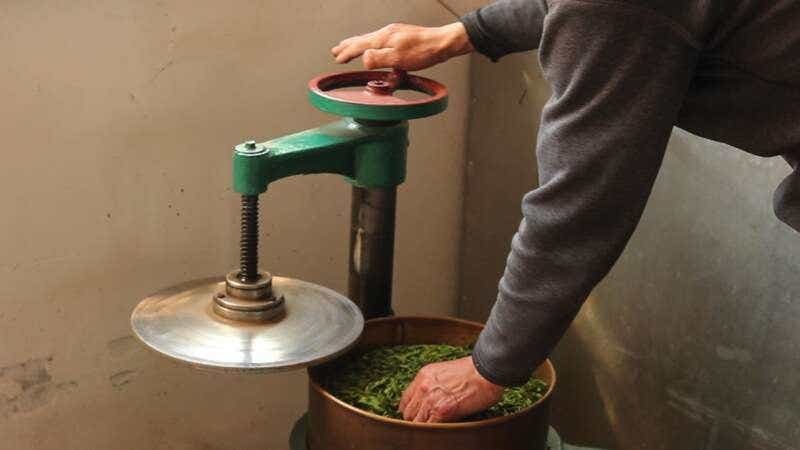 Traditional Laoshan Green Tea is curled with the help of special curling machines, made up of two rotating plates spinning against one another. Though the tops of the curling machines appear to be tightly closed, they’re actually in place just to prevent leaves from falling out as the discs spin. Only the weight of the leaves above press the bottom leaves against the rotating plates. In this way, the leaves are very gradually and gently curled over one hour. 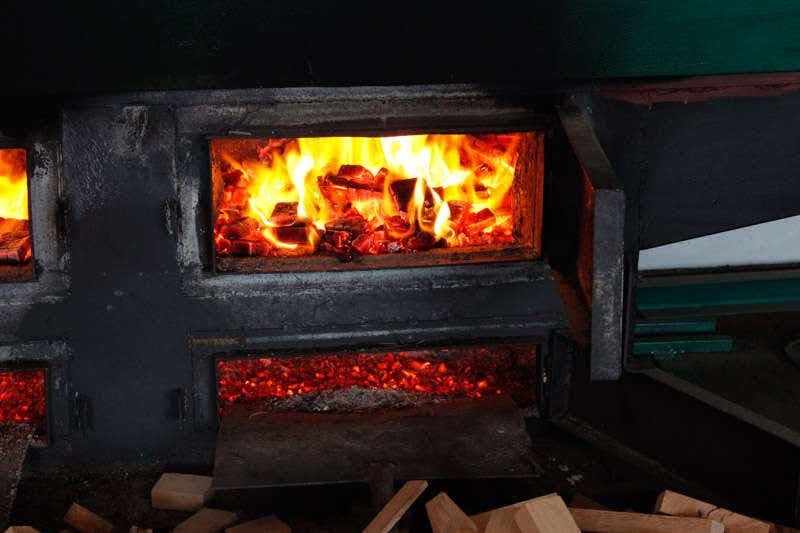 The speed of the plates are also carefully controlled to eliminate excess heat caused by friction. 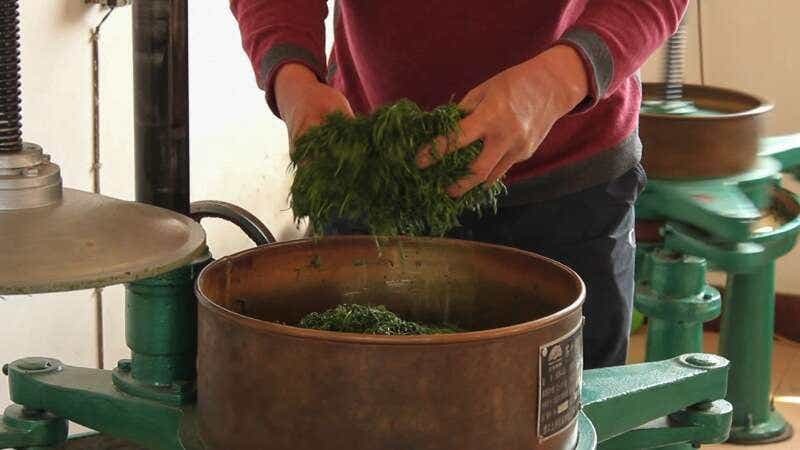 When making Laoshan Bilochun, this curling process is done completely by hand. After curling, the leaves are carefully inspected again. Any imperfect leaves and buds are removed, swept up and composted. 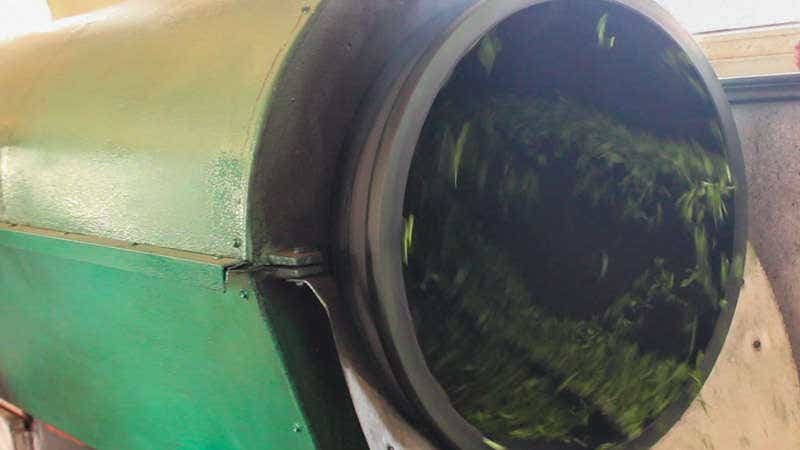 The curled and inspected leaves spend an hour to an hour and a half tumbling in special dryers, carefully heated and tended to remove moisture without burning or scorching. 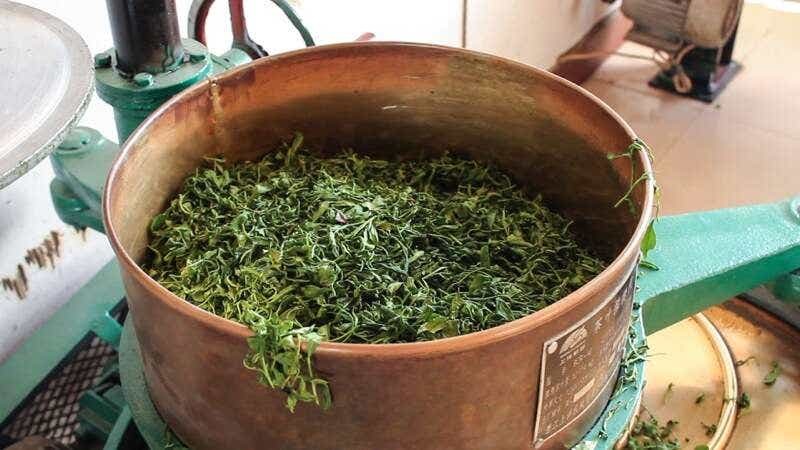 For Laoshan Green Tea, this is the final step in processing. Mr. and Mrs. He carefully moniter the temperature of the dryers, and constantly check the leaves’ progress every ten minutes, both by feel and by eating the semi-processed leaves. The tea leaves do not spend all of their time in the dryers, however. They come out half way through the tumble drying process for round of inspection, removing any imperfect leaves and buds. After a thorough inspection, the tea leaves return to the tumble dryers for final finishing. The tea leaves are inspected one last time for imperfections. Any tea leaves that don’t pass muster are removed, swept up and composted. Then, the just-finished tea is tasted for the first time. 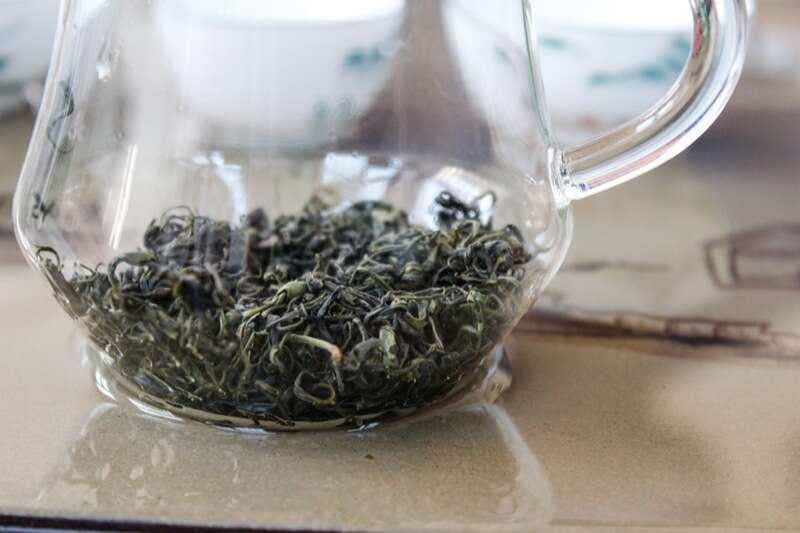 As with Laoshan Oolong, the flavor of new tea is uniquely vibrant and intensely green: the leaves are still quite warm from their journey through all stages of processing. The taste of the tea will change even more over the next 48 hours, mellowing and settling into it’s final flavor as the tea leaves cool and excess tea oil sets and fully dries. Step 8: Brew and Enjoy! 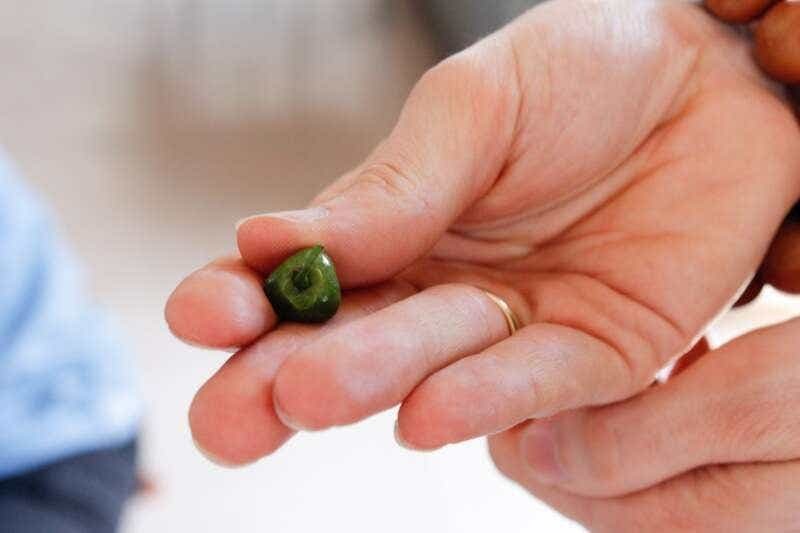 All in all, it takes a 6-hour-day of skilled labor (plus all of the time picking!) to create just 10 pounds of finished tea. 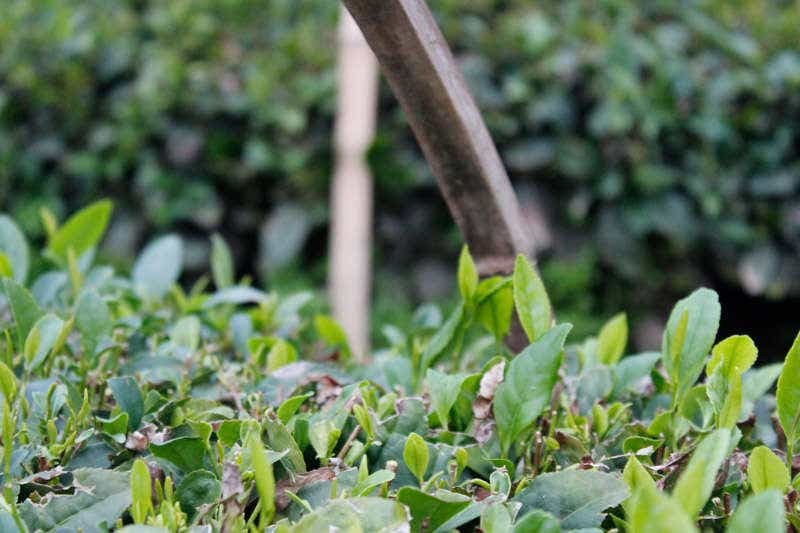 In every step of the process, the tea’s changing flavor is carefully monitored and tasted. Any imperfect leaves are carefully removed between each stage. 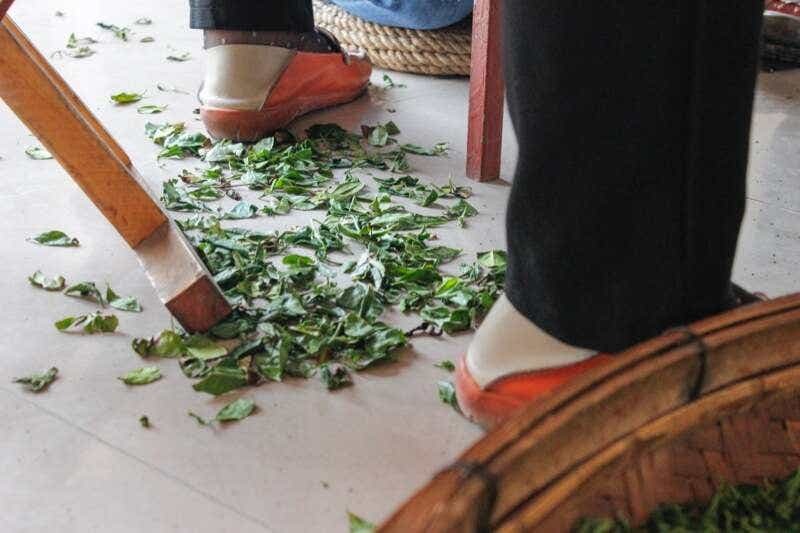 These broken leaves could theoretically be collected and sold as a lower grade of tea, but the He family instead removes the sweepings and dustings and composts them. What remains is a beautiful, complex hand picked and carefully processed artisan tea from the He Family farm. Specialized machinery in the workshop aids each step of the process and allows for larger quantities of tea to be finished in a day, but everything must still be constantly, carefully monitored, checked and adjusted by hand. 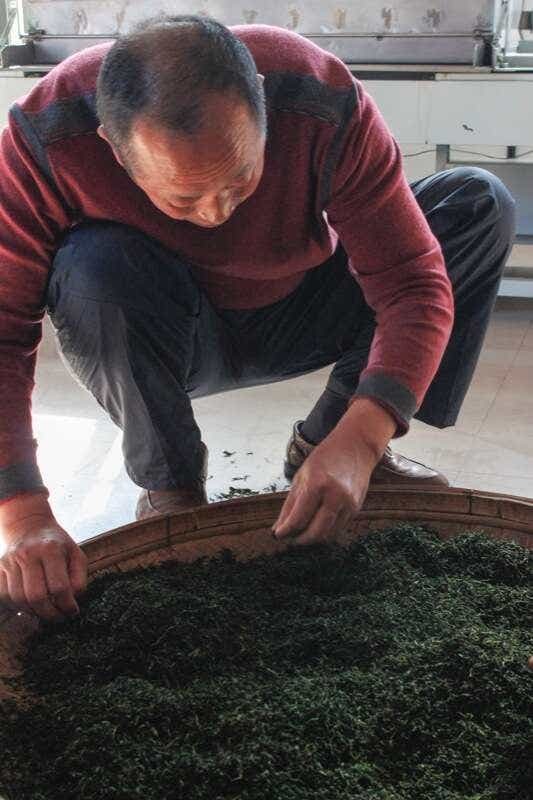 As with every tea produced by the He Family in Laoshan Village, the final brew you taste in your cup at home is a labor of love and dedicated, passionate perfectionism on the part of the entire He family. 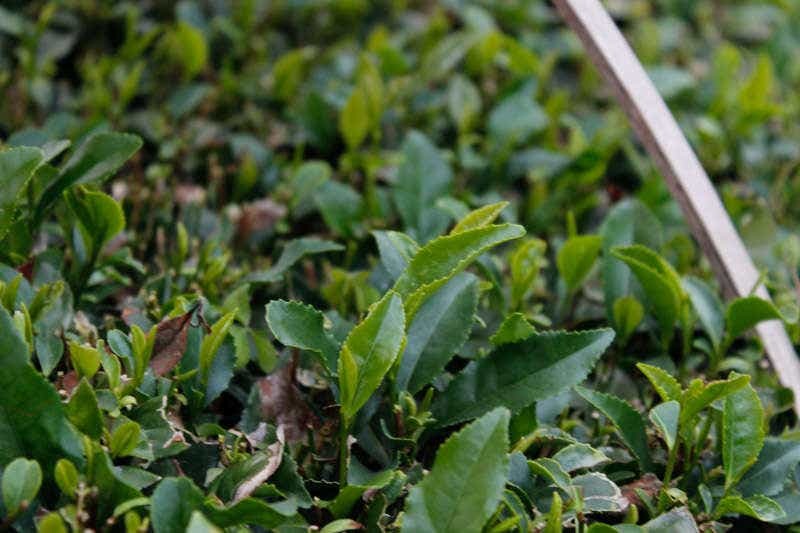 We are honored to share the He Family’s green tea on their behalf every season, and we are dedicated to spreading appreciation for their craft and their unique green tea with the rest of the world. Posted on June 15, 2013 at 1:09 pm. Oh wow I LOVE all of the pictures! Thank you! Thank you for the lovely pictures and wonderful article! I love seeing the He family and how they make and process their tea. It feels like I’m right there with them watching the process! Yay! I love seeing how the delicious tea we enjoy is made. Thank you! I love seeing all the pictures. Thanks for sharing this. Super interesting! I can’t wait to see how it turns into chocolatey Laoshan Black. 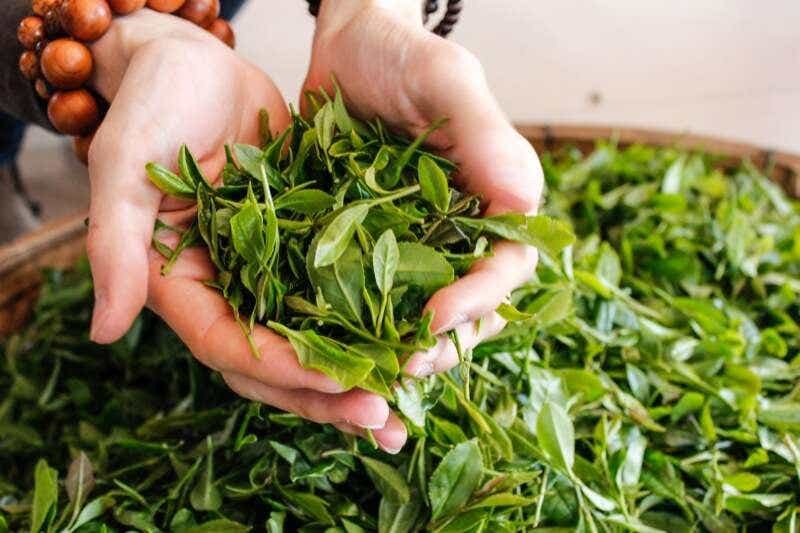 Thank you for showing us how this tea is made! That curling machine is so interesting. Wow! 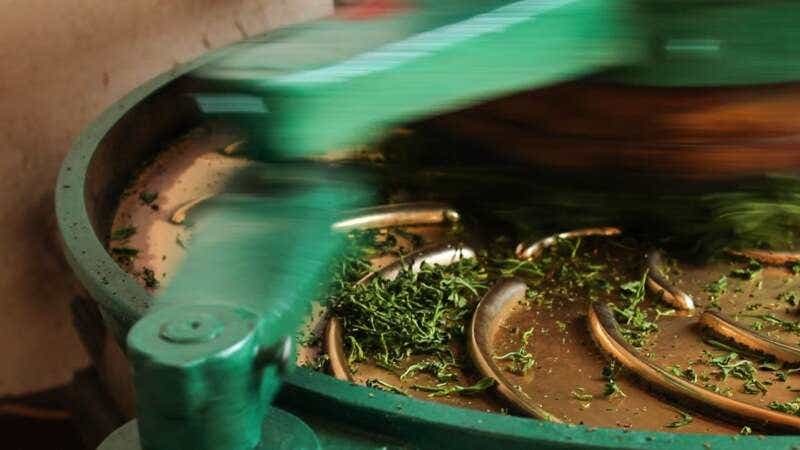 The pictures are beautiful and the care that goes into making the teas is staggering. 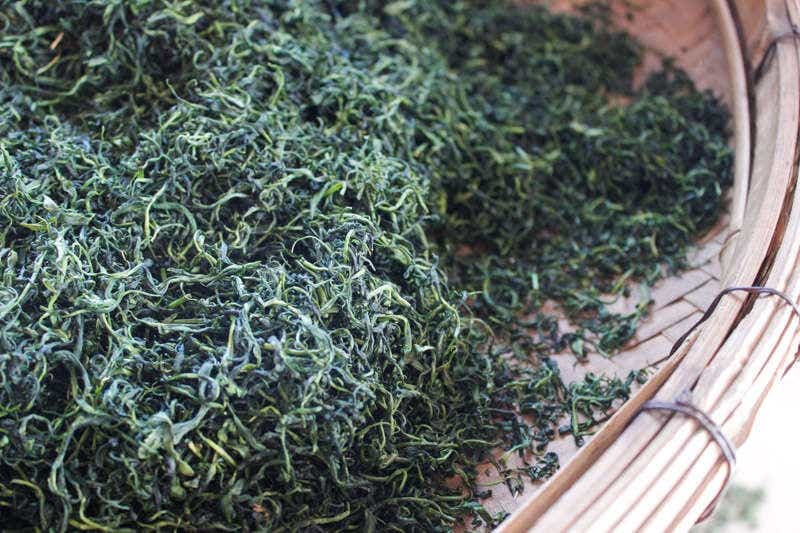 I’m so glad I preordered some of the Laoshan Green teas, I can’t wait to try them, it is so inspiring to see how they´re made. Thank you for these articles. Also, the pictures are beautiful! 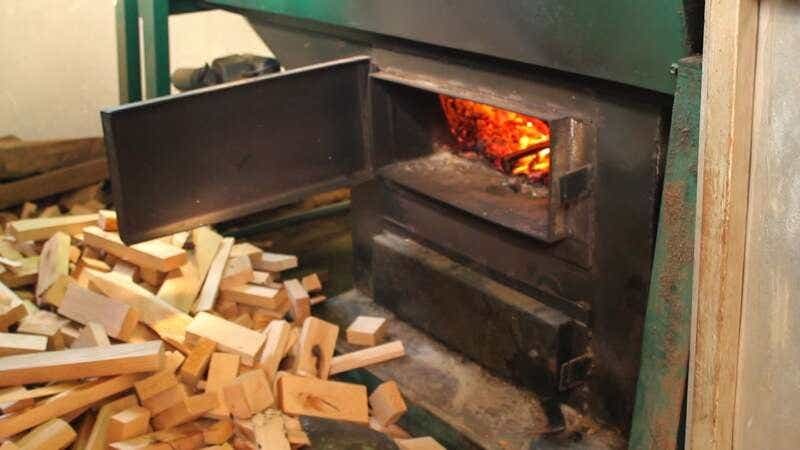 How much wood is burned to process a pound of tea? 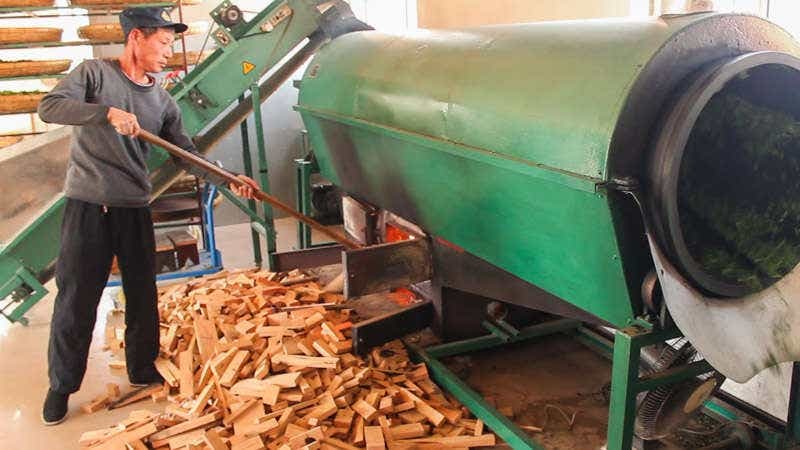 What kind of wood is used, and what are the details of the sourcing of the trees? 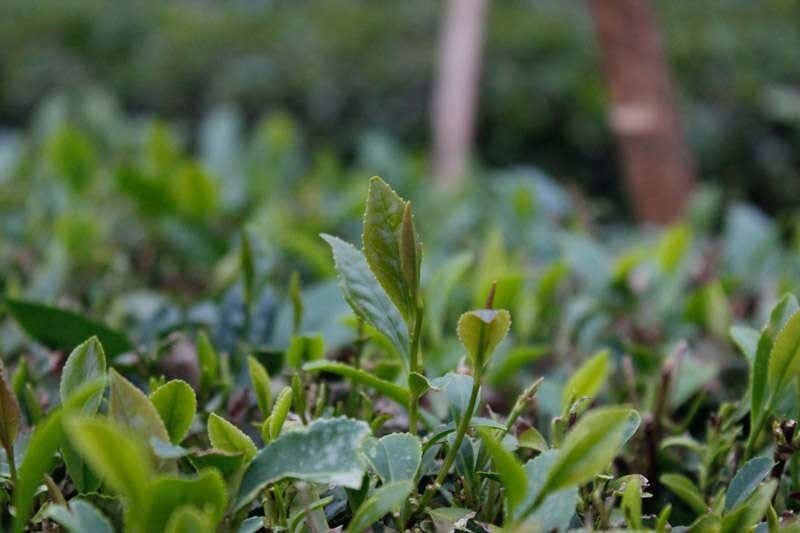 Are any efforts made to reduce the carbon emissions of the tea production and distribution processes?